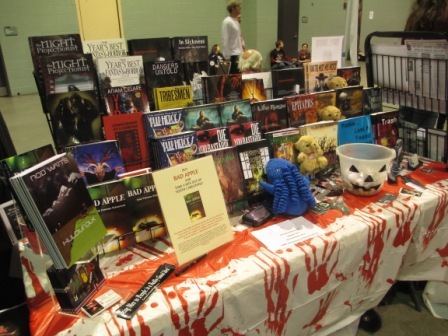 The New England Horror Writers were up at Rock and Shock in Worcester, MA, last weekend. 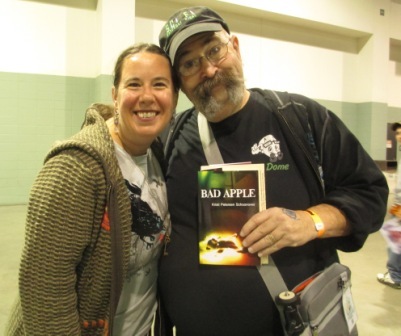 We met new friends and old, sat on panels, had a great time, and, of course, sold some books. Here’s pix from the weekend — just click on any photo for a larger view and to flip through the gallery. These NEHW members are really cool cats. 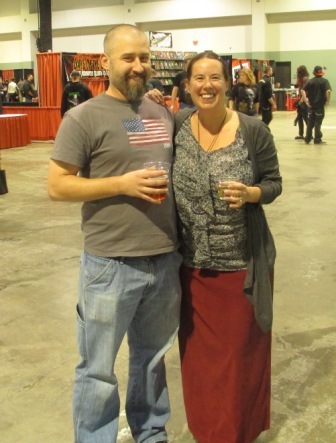 They’re getting married Friday the 13th in September, 2013 and then they’re honeymooning in Disney World. 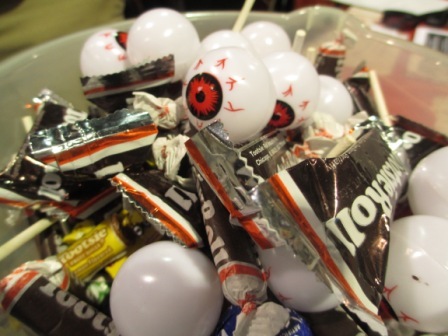 Scott Goudsward, writer of several short stories in various anthologies, brought the candy. 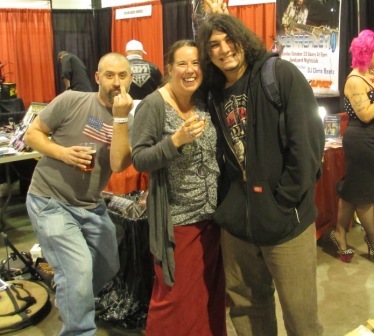 TJ photo bombs my pic with a fan. 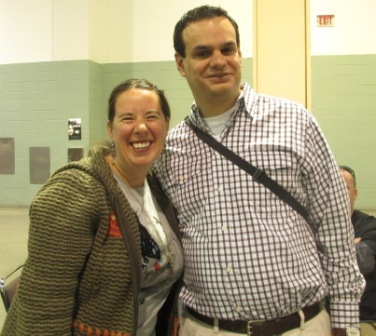 Me and TJ May, author of Ill Conceived (now in e-form from NECON E-books). From left, TJ May, me, and Matt Bechtel, of NECON E-books, on Friday Night’s “Breaking into the Biz” and Marketing panel. 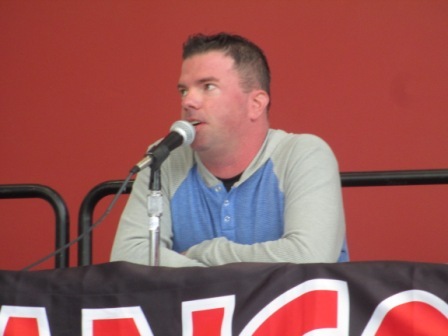 Jason Harris, Director of Publicity and Webmaster for the NEHW and co-owner of Books and Boos, a book and novelty shop opening in Colchester, CT, and Tracy L. Carbone, author of The Soul Collector and Restitution, on Friday Night’s “Breaking into the Biz” and Marketing panel. 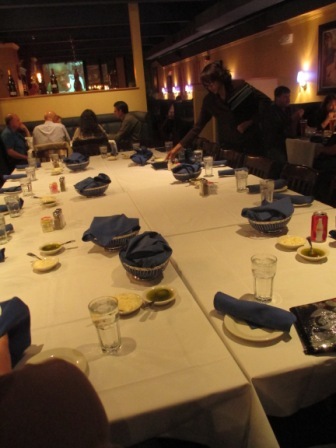 Friday Night’s “Breaking into the Biz” and Marketing Panel. 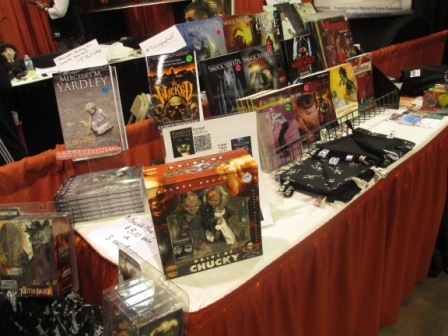 All of the Rock & Shock panels are coordinated by Fangoria Magazine. 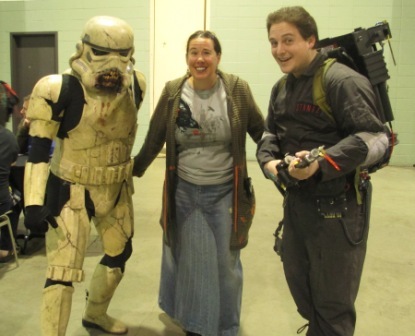 Me with Allison Smith and Temperance Damora, whom I met at last year’s Rock and Shock. They’re big fans of Howe Caverns, too! 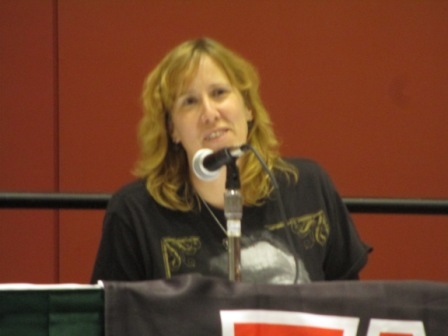 Trisha Wooldridge, editor and anthologist, on Friday Night’s Women in Horror panel. 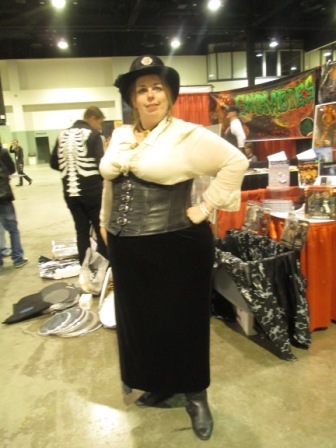 Lisa Marie (Vampira in Ed Wood, among other things) on Friday Night’s Women in Horror panel. 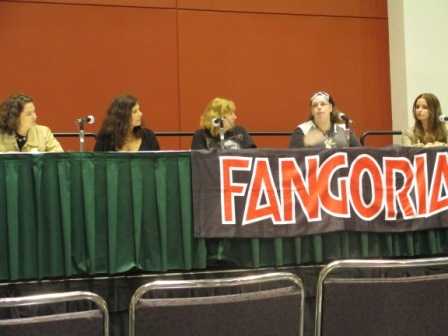 Friday Night’s Women in Horror Panel. 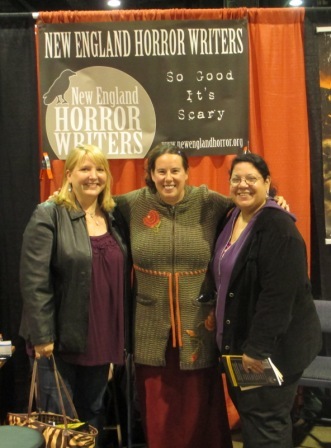 From left, Heather Langenkamp (A Nightmare on Elm Street), Tracy L. Carbone, Stacey Longo Harris (writer and co-owner of Books and Boos bookstore, opening later this year in Colchester, CT), Trisha Woodridge, and Lisa Marie on Friday Night’s Women in Horror panel. 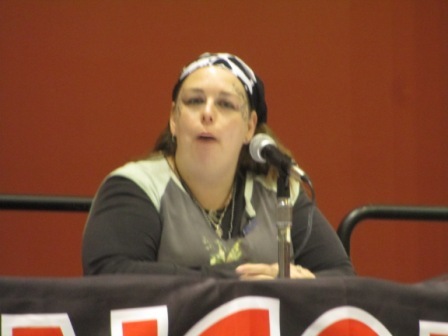 Stacey Longo Harris on Friday Night’s Women in Horror panel. 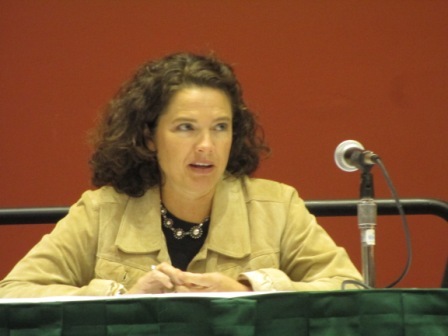 Heather Langenkamp on Friday Night’s Women in Horror panel. 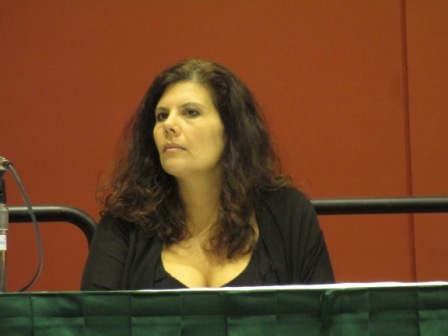 Tracy L. Carbone on Friday Night’s Women in Horror panel. 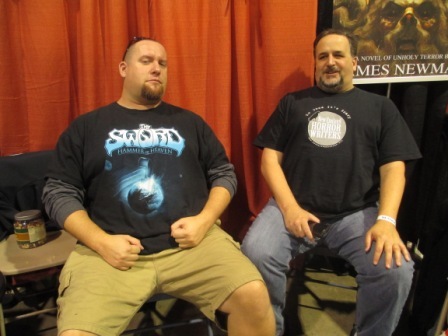 K. Allen Wood, editor of Shock Totem, and writer Scott Goudsward watch over the NEHW booth. 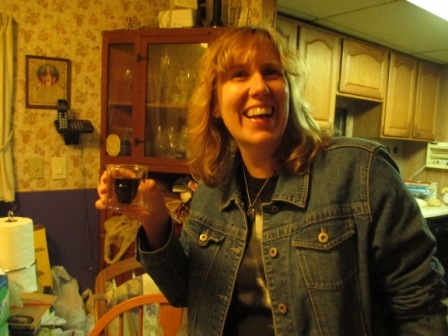 Stacey loves these Skeleton shot glasses. I do, too! Jack Haringa in deep thought. 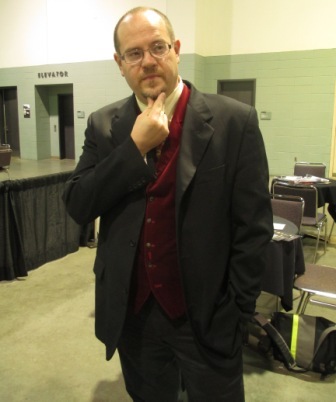 Jack is a writer and editor whose short stories have been included in the Year’s Best Horror and Fantasy anthologies. Me and SciFi Saturday Night’s The Dome. 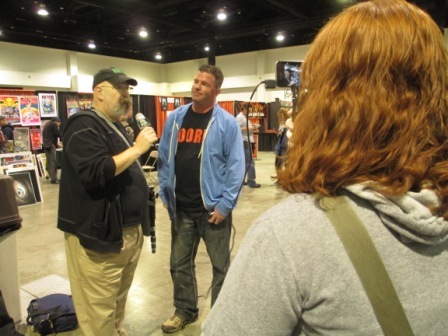 SciFi Saturday Night’s Dome interviews Rob Watts, author of Huldufolk. 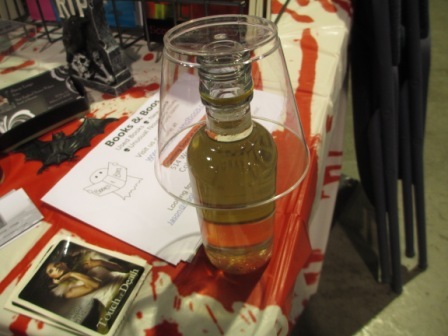 I love Cons. Such great cosplay! The Dome and Stacey Longo Harris on Saturday afternoon. 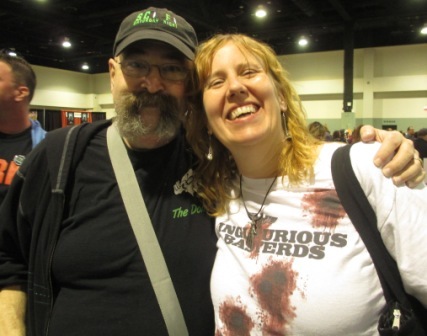 Me and Philip Perron of the Dark Discussions podcast. 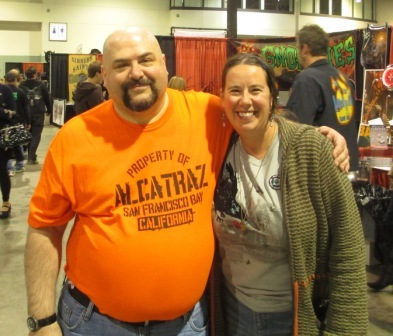 I have written a couple of articles for him and been on the Chernobyl Diaries episode. If you like horror movies, then definitely check it out at http://www.darkdiscussions.com. 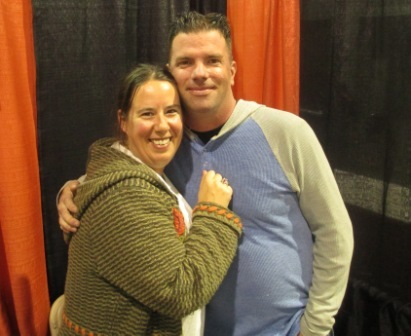 I was so excited to finally meet him in person! I know. Don’t even ask me what I was doing, here, because I have no idea. Me and L.L. 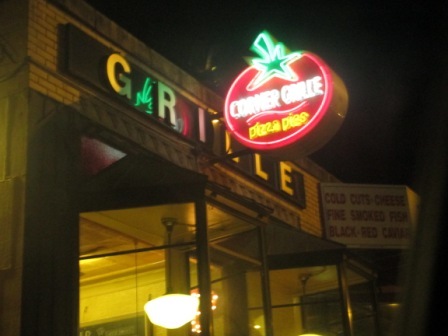 Soares of Cinema Knife Fight. 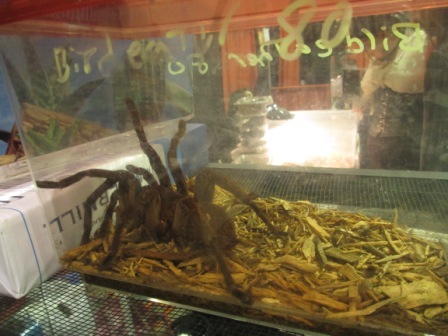 A bird-eating tarantula who took up residence at the booth in back of ours. 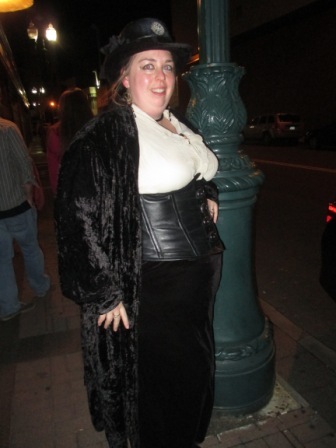 Trisha J. Wooldridge in Victorian finery. 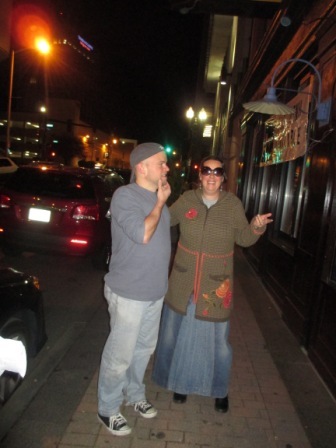 Shootin’ the breeze: from left, K. Allen Wood, Jason Harris, Sara Gomes and L.L. Soares. 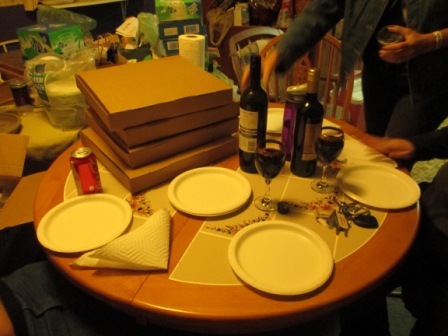 Rock and Shock Saturday Night Dinner is a tradition. 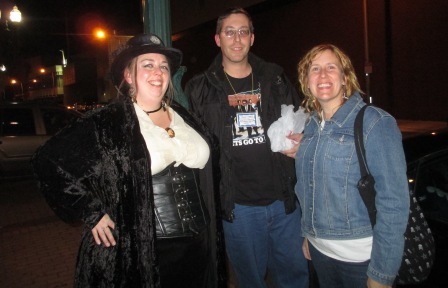 Trisha, Jason, and Stacey following Saturday Night’s dinner. 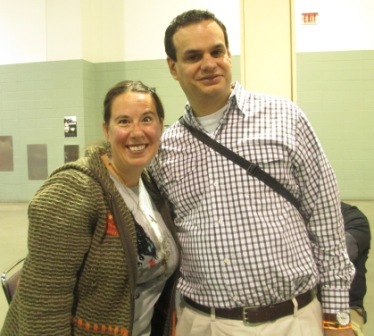 Me and Matt Bechtel of NECON E-books. 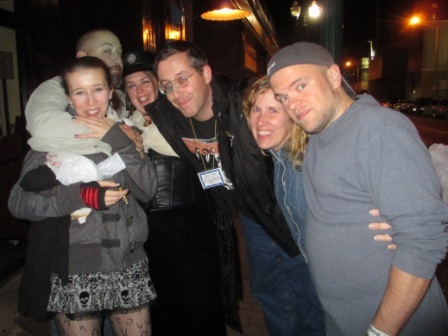 From front left: Kelli B. Jones of NECON E-books, TJ May, Trisha Woodridge, Jason and Stacey Harris, and Matt Bechtel. 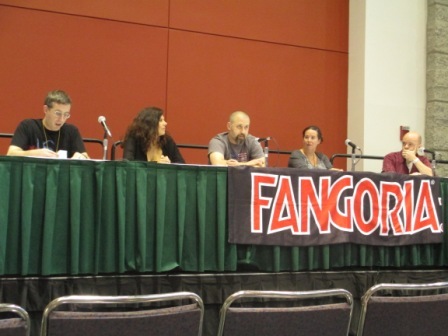 Sunday’s Horror in the Movies panel. 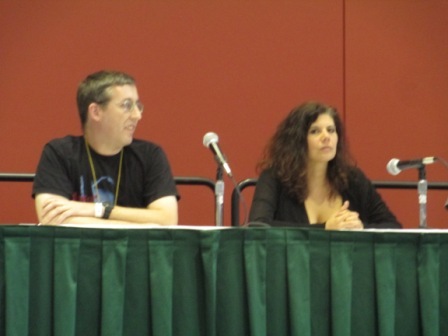 From left, Jason Harris, Rob Watts, Bracken MacLeod, author of several short stories in many anthologies, and Stacey Longo Harris. 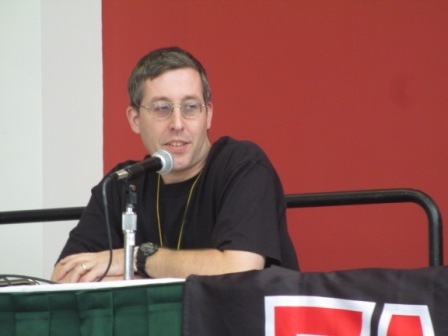 Rob Watts on Sunday’s Horror in the Movies panel. 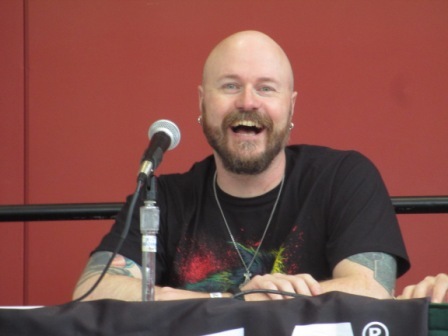 Bracken MacLeod on Sunday’s Horror in the Movies panel. 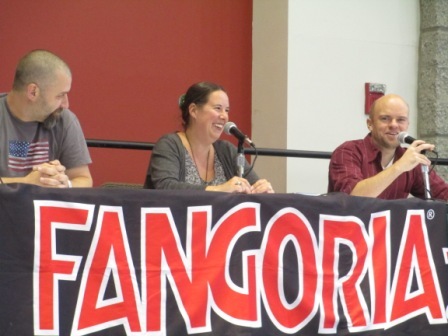 Jason Harris on Sunday’s Horror in the Movies panel. 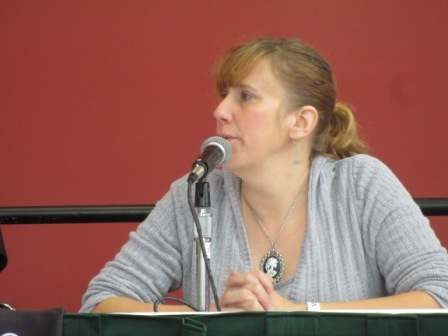 Stacey Longo Harris moderated Sunday’s Horror in the Movies panel. 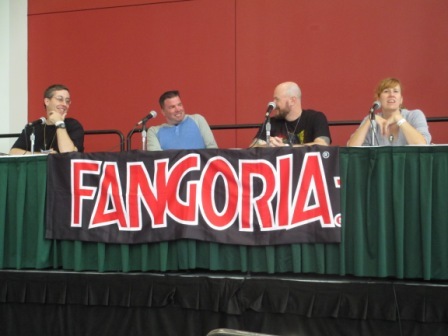 Topics discussed ranged from best and worst horror movies and best and worst franchises of all time, favorite scream queens and most memorable terrifying moments. 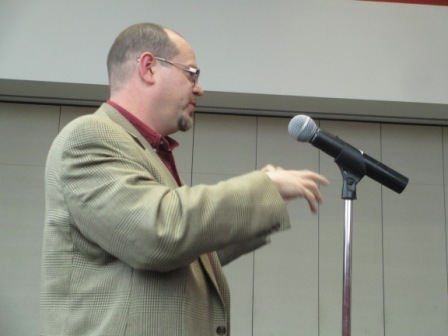 Jack Haringa asks a question of Sunday’s Horror in the Movies panel. 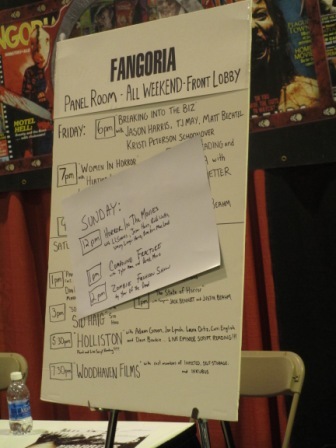 The Fangoria panel schedule for the weekend. 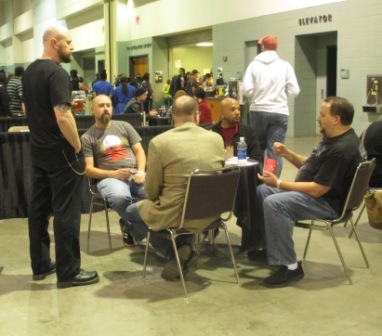 Winding down: Sunday afternoon, writers Bracken MacLeod, TJ May, Scott Goudsward and Jack Haringa talk shop with Erric, a friend of Bracken’s. 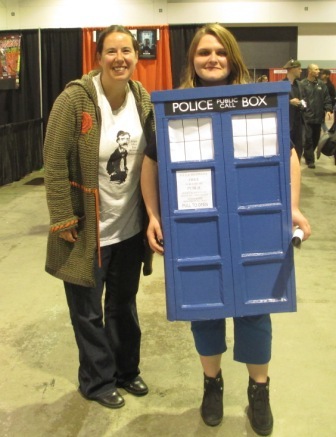 I HAVE MY OWN TARDIS!! 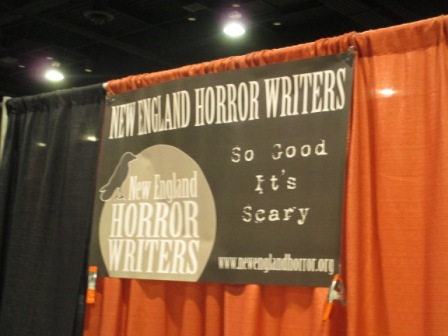 Posted on October 20, 2012, in News and tagged Cons Massachusetts, Ken Wood, NECON E-books, New England Horror Writers, Rob Watts, Rock and Shock Worcester MA, Scott Goudsward, Shroud Magazine, Stacey Longo Harris, TJ May, Tracy L. Carbone. Bookmark the permalink. Leave a comment.